Tuttle Inc’s Project Management team is the first point of contact for our established industry partners for project evaluations. The project management team is responsible for scope/specification development, proposal development and then managing the project through design, fabrication, installation and start-up with our customers. Our Project Management team members have over 100 years of collective experience in the commercial industry. Several members of this team have been promoted to this position from departments within Tuttle, so they have hands on fabrication, installation and/or design experience and understand Tuttle’s core competencies and capabilities. Tuttle Inc’s Engineering and Design team has a vast array of industry experience and exposure. Most of the team comes from a manufacturing background, so there is an understanding of design elements that help to facilitate manufacturing such as maintenance access, design around standard components, identifying wear surfaces, cGMP design, quick change over expectations and first and foremost, machine and system safety. The Engineering and Design team is involved in the entire project process from concept development, to field verification/measurement and start-up, testing and debug. With their vast experience base, this team is excellent in out of the box thinking and adapting concept application from one industry to another. This is a relatively small group within the Tuttle Inc. family that is intended to support the design of electrical and controls on our custom fabricated equipment. This team is versed in several different controls platforms in order to adapt to the multiple needs of our industry partners. As with the Engineering team, this group is involved in projects from concept development through testing , debug and system start-up. Tuttle Inc. does not have dedicated fabrication or installation teams. Our millwrights are cross trained to be efficient and effective in both elements of master craftsmanship. The millwright team that builds a system is typically the same team that goes to the customer site and installs it. Nobody knows the system better than the team the built it! Almost all of our millwrights have advanced degrees in either welding, electromechanical, tool and die or a combination of these degrees. The team has over 200 years of collective industry experience. Tuttle Inc. has a dedicated safety coordinator that is responsible for not only our own safety program, but helping to manage our team to the customized safety programs of all of our industry partners. Tuttle’s coordinator has over 40 years of manufacturing experience and almost 20 years of safety role responsibilities. The safety coordinator is active on site for all of our customers major site initiatives, working hand in hand with our industry partners safety department to ensure we have a safe project execution. 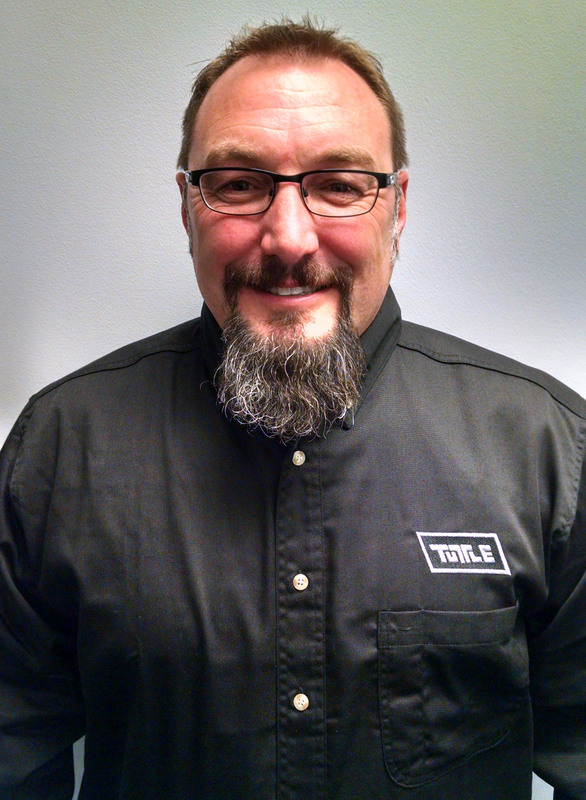 As the son of the founder of Tuttle, Inc. Galen Tuttle has literally grown up in the world of mechanical contracting. 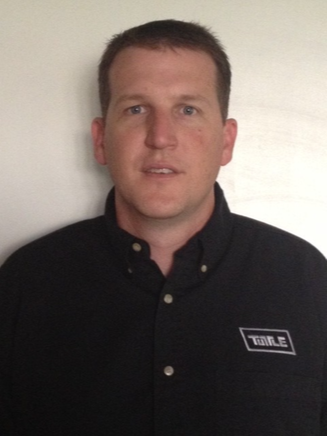 Galen began his career with Tuttle Inc. very early on as a fabricator and as a member of installation teams. By the time he reached high school, he was acting as a project foreman for fabrication and installation projects. After furthering his education, Galen expanded his horizons in the manufacturing environment by working as a Designer and Project Engineer for HTI plastics. He subsequently returned to Tuttle Inc. as a Project Engineer., refining his estimating, design and management skills in the process. Galen was promoted to President of Tuttle Inc. in 2001 and was given the responsibility for running day to day operations for the business. Mr. Gary Tuttle formally retired in 2010, and Galen has assumed all business operations responsibility as the CEO. Galen is involved in the day to day business, providing design guidance and filling the role of Project Superintendent on large, complex projects. Dan Harnly began his experience as an Engineer early in his scholastic career by working as an Estimator and Designer for the automotive component manufacturing industry. Upon his graduation, he started with Tuttle, Inc. as a Designer and Project Engineer, a capacity in which he functioned until 2001. In 2001, Dan took a position in the pharmaceutical manufacturing industry as a Project Engineer. Dan worked in this industry for 13 years in multiple roles, ending as the Director of Engineering and Maintenance of a facility with 500,000 square feet, 26 packaging lines and 200 active formulations. Additionally, he was directly responsible for managing over $300M capital spend during his tenure there. Dan rejoined Tuttle Inc. in 2013 as the President and is currently responsible for managing the day to day business for the company. He also provides technical input to custom designs and manages projects as needed to meet customers aggressive timeline demands.